What's Ahead for County Health? Kudos to Greenson and Stansberry for their article "Breaking the Cycle" (Jan. 21) on the dire straits of the Mental Health Branch within our beleaguered Department of Health and Human Services. The understaffing, the huge caseloads, and, I agree with one of the total of two (yep — two!) psychiatrists who stated in his resignation letter, "... lack of response from the Department of Mental Health, and the director of DHHS to the crisis is discouraging. We have seen little in the way of definable progress. ..."
Traditions Behavioral Health (TBH), an outside company, was paid $3.5 million to save the Mental Health Branch not only with necessities like doctors but by showing how to manage the staff in an equitable manner. The current Mental Health Branch budget is $35.5 million. TBH seemed to be able to find the staff (basically paying them more than the county) and staff them in a manner in which they will be working only 10 days a month at Sempervirens, which will greatly reduce the burnout seen by our doctors in the past and which hopefully will keep them here. TBH was able to get results whereas DHHS didn't/couldn't, for whatever reason, with its $150 million budget. Can the private sector help DHHS and other county departments as well? 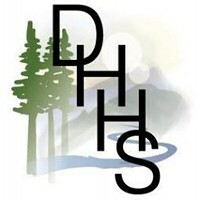 Should DHHS be split up? Are there too many bosses and too little staff? Is money being spent in the right areas? Will the new DHHS director bring in fresh, proven, productive ideas? Is everyone on the same page? We have thrown millions of tax payer money at the current system. Nothing really has changed for 25 years. Hearing nothing from DHHS sounds like we're on the same old path. Hopefully the new director selected by the supervisors will stop kicking the same can down the same road again. We've tried that; it doesn't work.